Spółka kontynuuje zmianę identyfikacji wizualnej. | North Food Polska S.A. The company continues to change its visual identification. 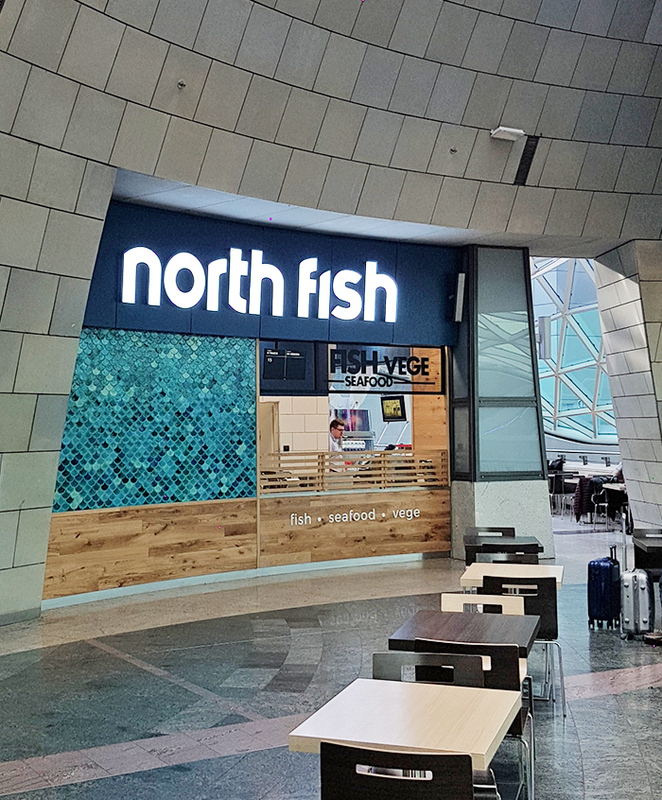 February 7th, we have witnessed a spectacular upgrade of the North Fish restaurant located in Złote Tarasy, the very heart of Warsaw. In addition to the logo change, the walls are now covered with unique fish scales that gave the place a fresh look and an exceptional character Now, the Customers also have access to a ordering kiosk for easy ordering. The new logo has been already introduced in more than half of North Fish restaurants. By the end of the first half of this year, the upgrade will have covered all restaurants in Poland.